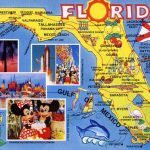 30 Interesting Facts About Arizona | OhFact! Arizona was the 48th state to join the union. President William Howard Taft wanted to make Arizona a state on 12th February. 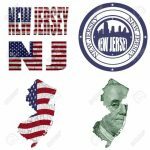 Since it was Lincoln’s birthday, and the next day, i.e., 13th is considered as an unlucky no., so, on the following day, i.e.,14th February or the Valentine’s Day, Arizona joined the Union and became America’s Valentine. 2. 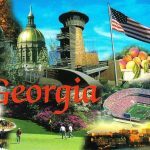 So Much To See Here! 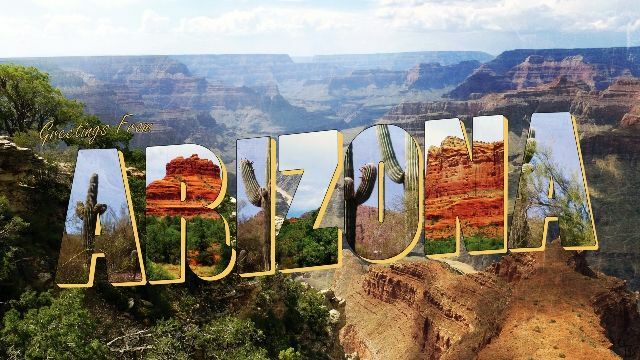 Arizona’s famous attractions include the Grand Canyon, the Petrified Forest, the Painted Desert, Hoover Dam, Lake Mead, Fort Apache, and the reconstructed London Bridge at Lake Havasu City, etc. 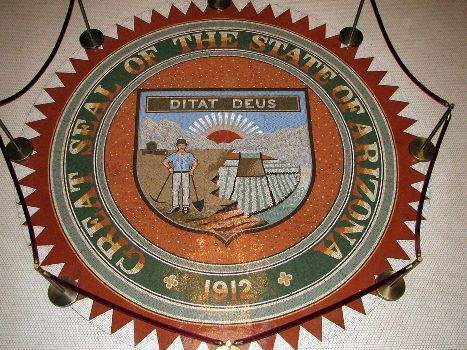 Arizona’s State Seal has 5 C’s- Climate, Cotton, Cattle, Copper, and Citrus. Climate being the first, Cotton which dominates Arizona’s agriculture, Copper contributes $3.518 billion to Arizona’s economy, and the state ranks 13th in cattle production in America, and hence, the 5 C’s. 4. Climate Plays Hide & Seek! Arizona’s diverse climate can record both the highest and lowest temperatures in the US on the same day. In fact, you can be tanning in Phoenix and skiing in Flagstaff just a few hours away. 5. No! It’s Not Arid Zone! There’s a misconception regarding the origin of state name that it originated from the Spanish term Árida Zona (“Arid Zone”). For people who think that Arizona is only deserts and cacti, it might be a shocker that one-fourth of the entire state is forested. 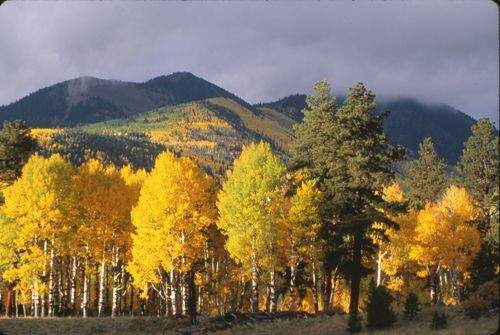 Arizona has the largest unbroken ponderosa pine forest in the US. We have some granddaddies out there in Arizona! 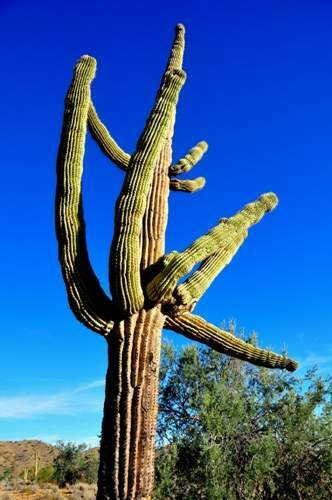 In April or May, the saguaro or “The Giant of the Desert” blooms; giving way to edible fruit. The fruit splits open when ripe, exposing the brilliant crimson inside, which is often mistaken for a cactus flower. 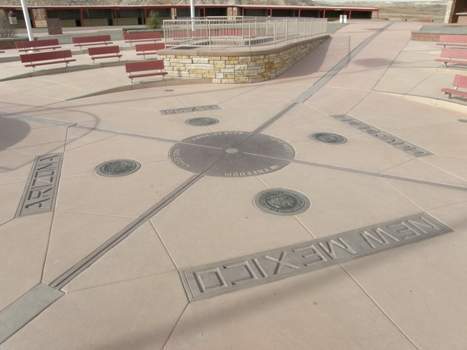 Arizona is the only place in the US where at the same time you can stand in four states, the intersection where the boundaries of Colorado, Utah, New Mexico, and Arizona meet. 9. Grand Canyon Is Older Than The Dinosaurs! The rocks at the Grand Canyon are more than 1 billion years old. Moreover, no dinosaur fossils were found in the Grand Canyon; because the rocks are way older than the dinosaurs. 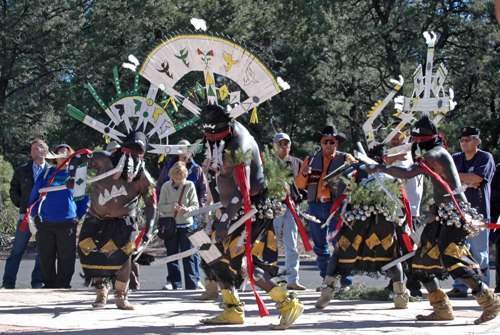 No other state of America is as native as Arizona. 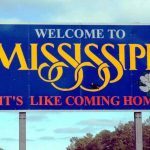 It has the largest amount of land designated as Indian lands and has 22 Indian tribes which are federally recognized by the American government. Navajo language is the most widely spoken language here after English and Spanish. 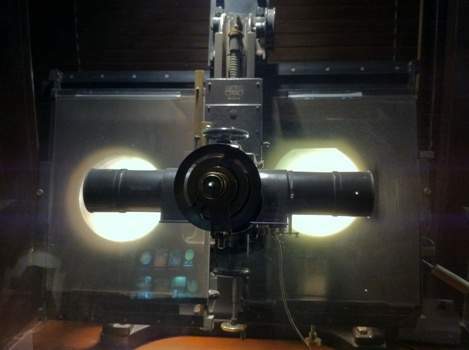 Clyde Tombaugh, an astronomer at the Lowell Observatory in Flagstaff, discovered Pluto with an astrograph telescope on February 18, 1930. 12. Underground Hotel At Grand Canyon! 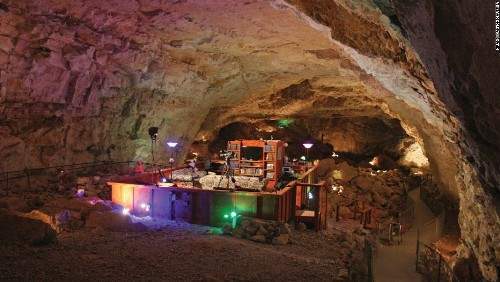 One can stay in a 22 story underground hotel at the Grand Canyon Caverns in Peach Springs for a few hundred bucks a night. 14. America’s 1st Barrel Of Tequila! 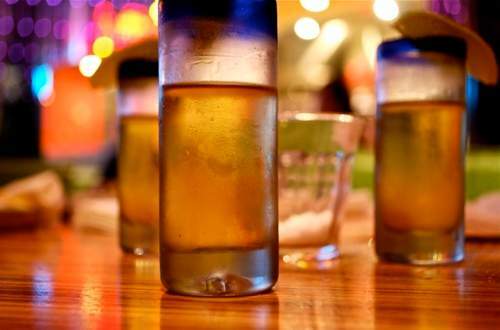 American’s must give thank to Arizonan for tequila; as the first barrel of tequila, which was produced in the United States, was from Nogales, Arizona on June 6, 1936. 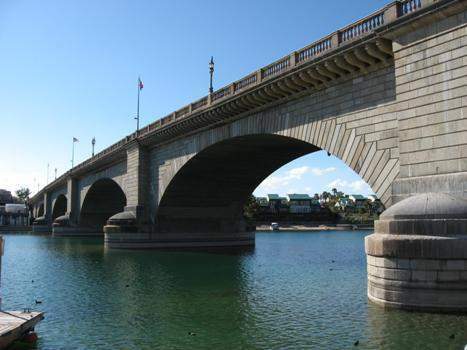 England’s original London Bridge, which was replaced in the 1960s, was purchased, dismantled, and shipped stone-by-stone and reconstructed in Lake Havasu City, Arizona, where it still stands today. 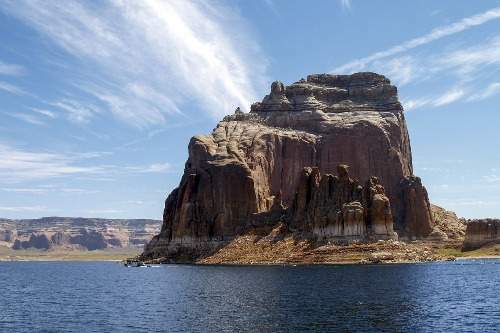 Arizona has the 2 largest man-made lakes of America, Lake Mead, and Lake Powell. Lake Powell has a shoreline of 2,000 miles, more than the Pacific Coast. 17. 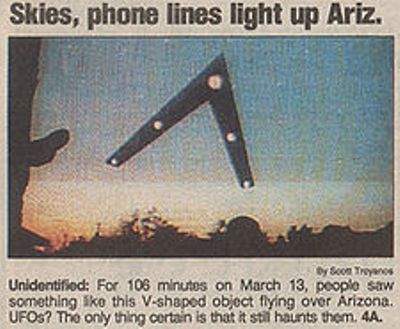 Weird Laws In Arizona! Donkeys are not allowed to sleep in bathtubs; it’s illegal to refuse a person a glass of water, and you can be imprisoned for cutting down a cactus. There is a village called Supai located at the bottom of the Grand Canyon, which happens to be the only place in the country where mail is delivered by mule trains. 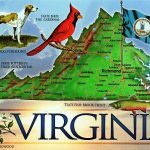 The mule train makes the 8 miles, 3-5 hour trip 5 days every week; carrying a ton of mail that includes letters, food, supplies, and furniture. 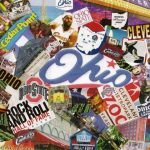 The legendary Gunfight of 1881 at the O.K. Corral in the Arizona town of Tombstone is one of the most famous shootouts in American history, and guess what, it lasted only 30 seconds. 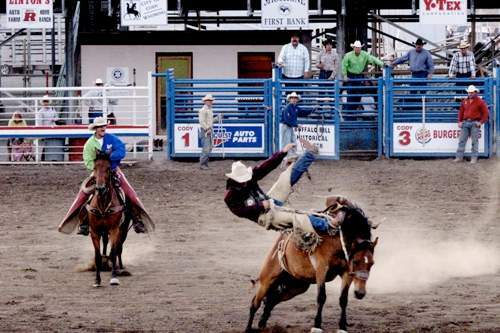 The world’s oldest rodeo is in Prescott, Arizona, and also, the world’s oldest continuous rodeo is in Payson, Arizona. 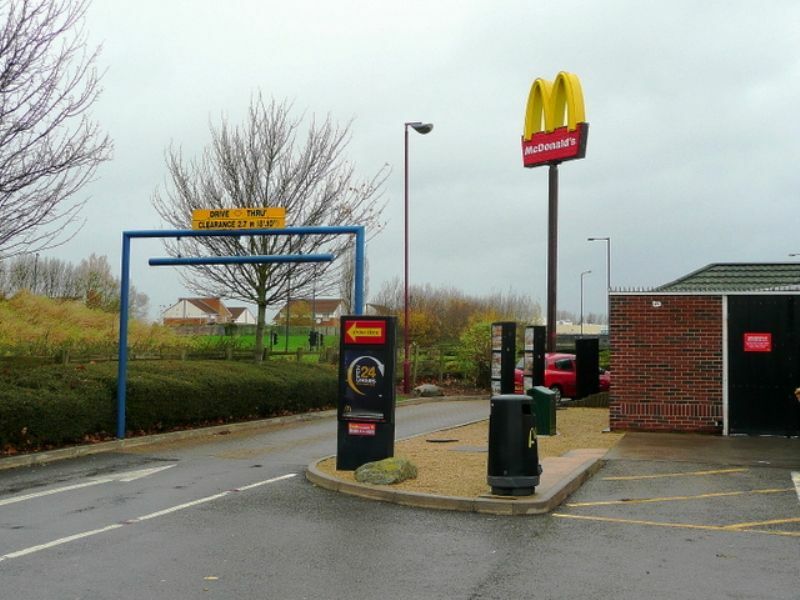 The world’s first McDonald’s drive-thru was installed in Sierra Vista, Arizona in 1975 for the soldiers from Fort Huachuca as at the time; they were not allowed to leave their vehicles while in uniform. So, McDonald’s installed a drive-thru and soldiers were finally able to get a Big Mac during their lunch hour and have been Lovin’ it ever since. Rex Allen (singer, actor); Lynda Carter (actress); Cesar Estrada Chavez (labor leader); Barry Goldwater, Carl Trumbull Hayden (politicians); Frank Luke Jr. (WWI fighter, ace); Charles Mingus (Jazz musician and composer); Linda Ronstadt (singer); Louie Espinoza and Michael Carbajal (world champion boxer) are among the famous Arizonans. Although names such as “Pimeria,” “Gadsonia,” “Arizuma,” and “Montezuma” had been considered to name the territory, when the then US President Abraham Lincoln signed the final bill, it read “Arizona,” and that name was adopted. 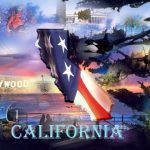 In March 2000, Arizona witnessed the first election ever held over the internet to nominate a candidate for public office; when Arizona Democrats authorized to use voting from home via the Internet in their Saturday, March 11, 2000, ADVISORY Primary by the national Democratic Party. Three Pennsylvania-class battleships named USS Arizona to honor the 48th state’s admission into the Union. 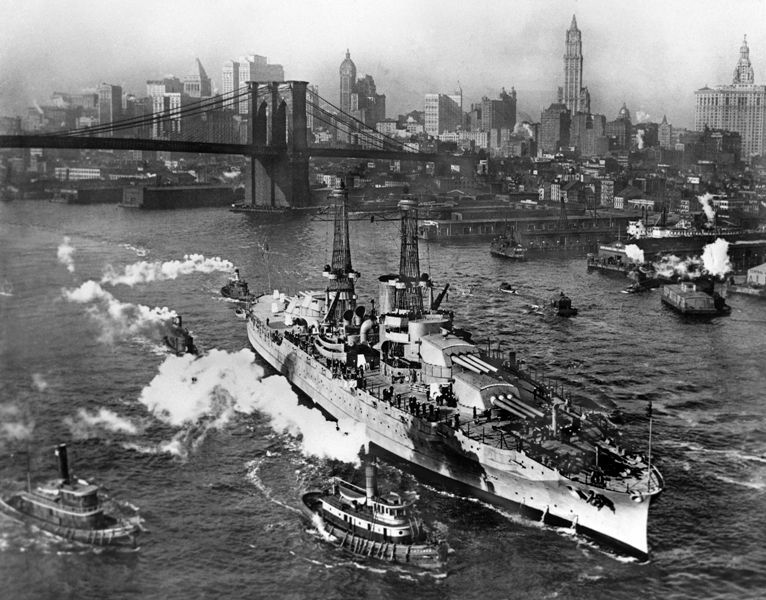 USS Arizona (BB-39) battleship played a crucial role during World War I. 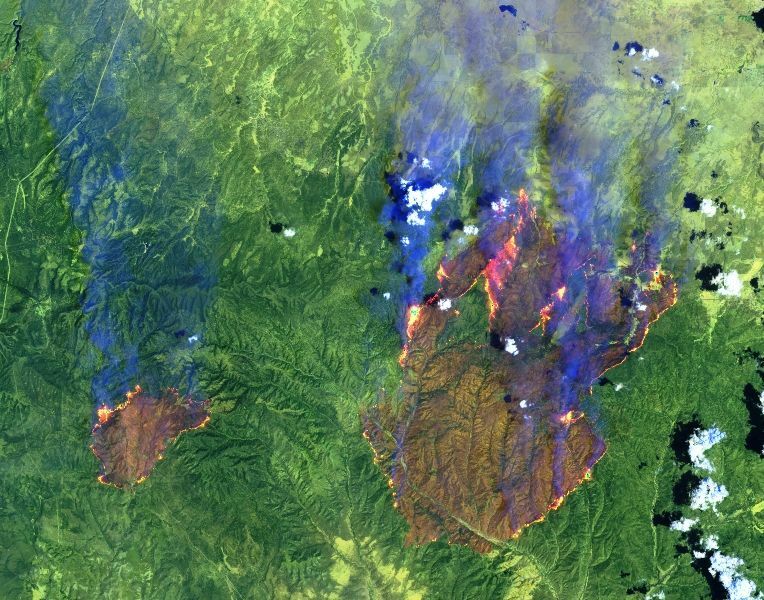 On June 21, 2002, two separate fires- the Rodeo and Chediski Fires in east-central Arizona, broke out. 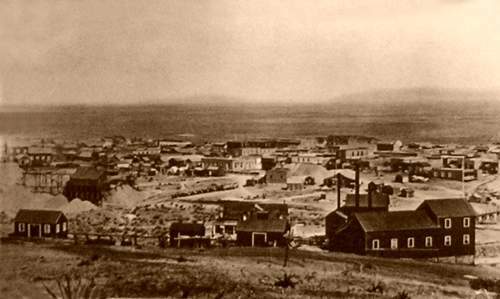 The blase covered an area of over 410,000 acres and had almost consumed the town of Show Low, Arizona. The fire is considered the worst fire ever in Arizona. 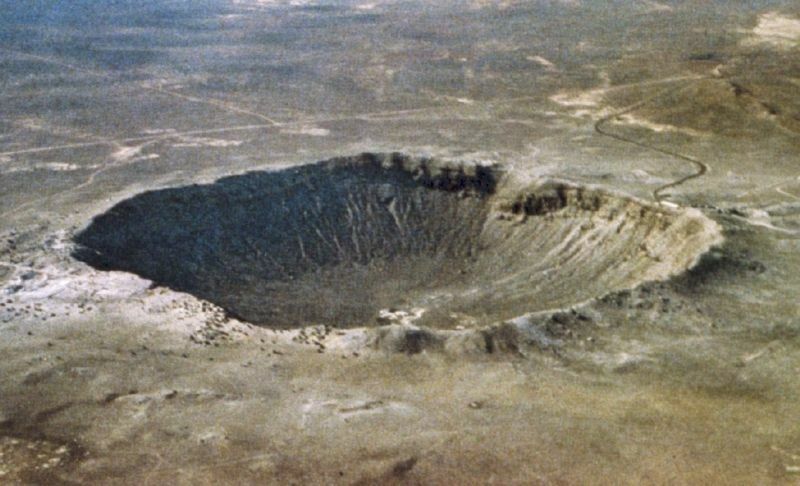 Arizona is home to the world’s best-preserved meteorite impact site on Earth; located near Winslow in Northern Arizona. Situated under the wide skies of the Arizona High Desert, Meteor Crater is the spectacular result of a collision that rocked the American Southwest approximately 50,000 years ago with the energy of more than 20 million tons of TNT. Arizona and Hawaii are the only two states in the United States, which do not observe Daylight Saving Time (DST). Arizona granted women the right to vote 8 years before national suffrage.